Welcome to Democracy Day, a day where citizens can address the Toledo City Council (and even the mayor this year) about matters near and dear to their hearts. Inspired by the Move to Amend movement to overturn the Citizens United ruling, you better believe there were several testimonies given about the Lake Erie Bill of Rights and how unfairly the citizens' initiative was treated by certain elected council members who shall remain nameless. Literally. Council members sit high above the speaker's podium in a judge-like manner. No kidding--there's some kind of "rule" we were told by the at-large councilman chair of Democracy Day that individual council members could not be named by their names when addressing city council. I don't know about you, but how the heck can you ever hope to get your representatives to change their ways if you can't call them out by their actual names? How would they know you are talking about their nefarious actions? They might assume you're talking about someone else and go about their business as usual, right? 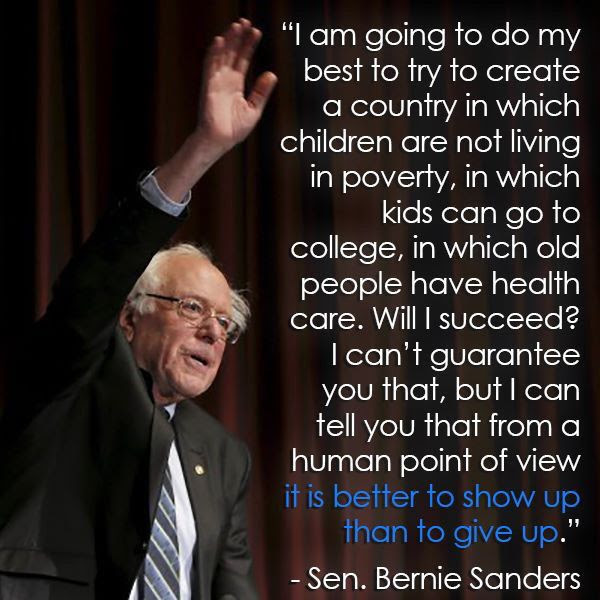 Revolutionaries need to keep vigilant in these days where bought-off politicians think they're beyond reach and act like they are beyond caring what happens to their poorer constituents. 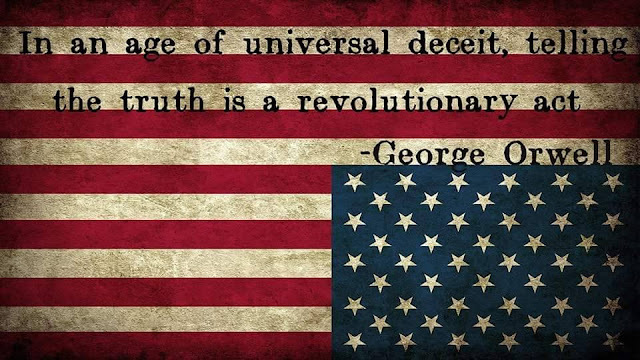 Whenever and wherever you have the opportunity to speak truth to power, grab it. Grab it and speak out. Run with it and don't look back. The future to believe in is almost here. Onward! And now, here's an example you can follow, an address given to Toledo City Council on Democracy Day by yours truly. --C.A.M. Stefania bravely addresses city council. The Citizens United Supreme Court ruling essentially made bribery of elected officials legal in the United States of America. If "money is speech," as Citizens United proposes, then no average working class human being has the means in which to "out speak" the corporations and Wall Street banks that have bought off our representatives at all levels of government. The author speaks before council. We've witnessed just such a situation locally with the arduous journey the Lake Erie Bill of Rights had to travel until it came before Toledo voters on February 26--when it was handedly passed. Over ten thousand plus signatures were submitted--and sufficient numbers approved--to place this citizens' initiative on the November 2018 ballot initially. 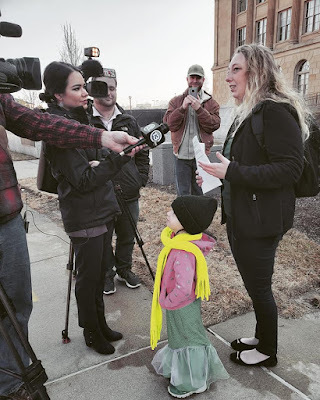 The petitioners did their job well, and the voters were excited that their drinking water could be protected through the means of becoming guardians and stewards of Lake Erie. But of course, it wasn't going to be that easy. There was no real reason why the Lake Erie Bill of Rights could not be on the November ballot other than our so-called "representatives" at the Lucas County Board of Elections threw up roadblocks to slow its progress. Here at Toledo City Council we suffered the negative bias of our city council president whose membership in a union, that took exception to the Lake Erie Bill of Rights, took precedence over his supporting democracy and defending his constituents' right to vote on the measure. Why would the Board of Elections and our city council president attempt to thwart the will of the people? 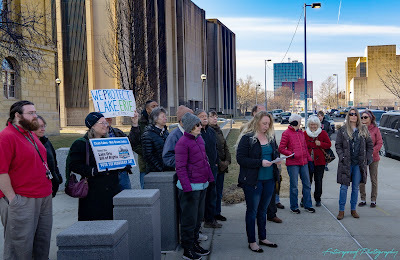 The people clearly demonstrated their will in their enthusiastic support of the Lake Erie Bill of Rights when they signed the ballot petition in great numbers. 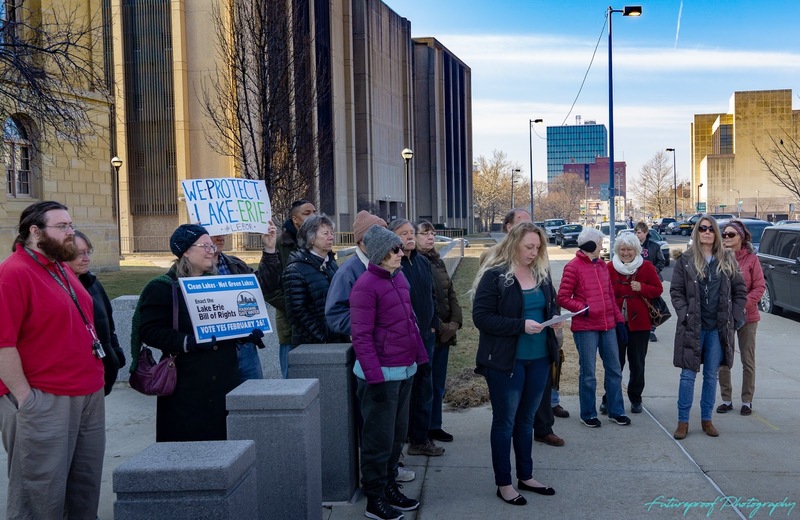 So, what could motivate city council and BOE members to so boldly disappoint their fellow Toledoans and jeopardize the health and futures of everyone who drinks water from Lake Erie? What could make these politicians forget the events of August 2014? What could make them blind to the annual toxic blue-green algae blooms that cover our beautiful Great Lake? The answer, simply put, is "money talks," and obviously it talks quite loudly in the ears of Toledo area politicians. Our "nameless" city council president exited after a second call out by a citizen. 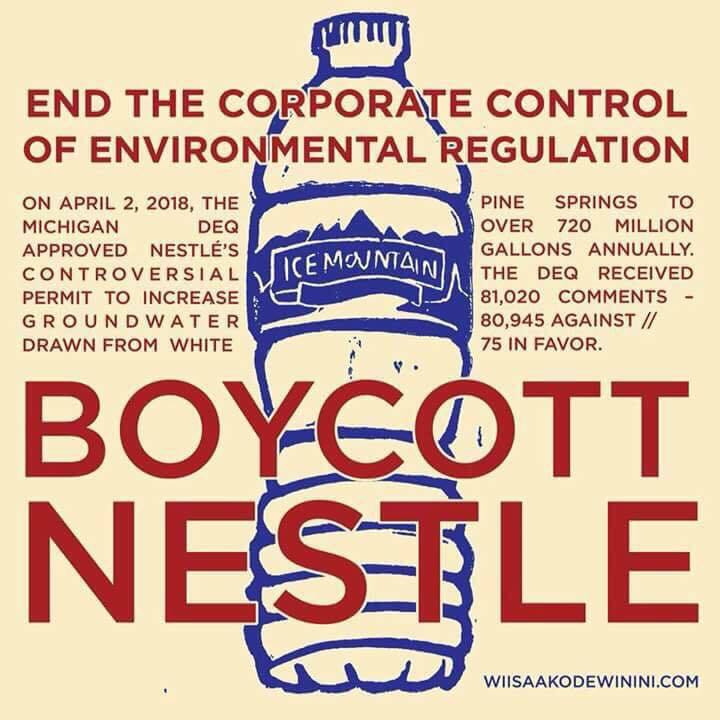 While our local politicians are deafened by lobbyist money to the cries of their constituents who fear Toledo will become yet another Flint, Michigan, factory farms continue to dump endocrine disruptors such as atrazine on fields. Concentrated Animal Farming Operations or CAFOs allow their animal wastes to flow into our rivers and streams unimpeded, feeding the blue-green algae that blooms into toxic cyanobacteria. 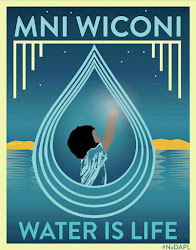 Fracking waste water creators and oil pipeline builders (through disastrous leaks) permit their polluting products to pour into our wetlands, rivers, lakes and streams, killing our Yellow Perch and Walleye. Destroying the enjoyment of fishermen and the entire $1.1 billion annual tourism industry on Lake Erie's shores is but a small price to pay for allowing this dark money to flood our democracy, or so it seems. Alyx speaks truth to power! These polluters are all well-represented in Columbus and in Washington D.C. by an army of lobbyists carrying big, fat checkbooks. Our Toledo politicians, backed by corrupt political parties that welcome lobbyists' loot into their campaign war chests, have apparently fallen under the big, fat checkbook's spell. They seem all too eager to do the lobbyists' bidding for a chance to line their pockets for another run for office before retiring elsewhere where they and their families won't be threatened by polluted Lake Erie water. 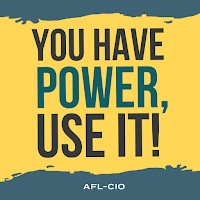 Toledo politicians' actions demonstrate an unwillingness to break away from the status quo and a refusal to be transformed into true public servants ready to go to bat for the health and safety of all citizens. Dennis presents facts on Medicare for All. But We the People are wise to the ways of lobbyists and corrupt politicians. That's one reason why we're here today to celebrate Democracy Day. By holding the polluters responsible for the pollutants they dump without punishment into the Maumee River Watershed, that feeds into Lake Erie, which everyone knows is the Toledo area's drinking water supply, We the People are practicing democracy in its purest form. We are standing up against the Big Money interests that don't care how they harm our lake's ecosystem. 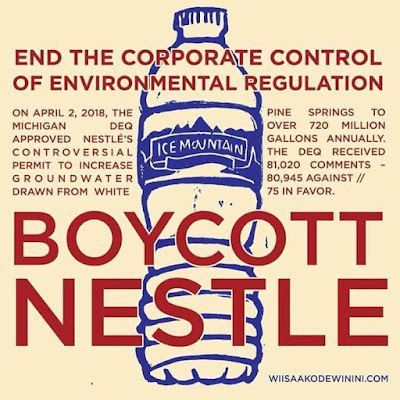 We the People are standing up against amoral corporations that hold all life in contempt through their indifference to poisoning our city's water supply. We are revitalizing democracy by putting power into the hands of the people and local government and not into the hands of disinterested and callous billionaires. 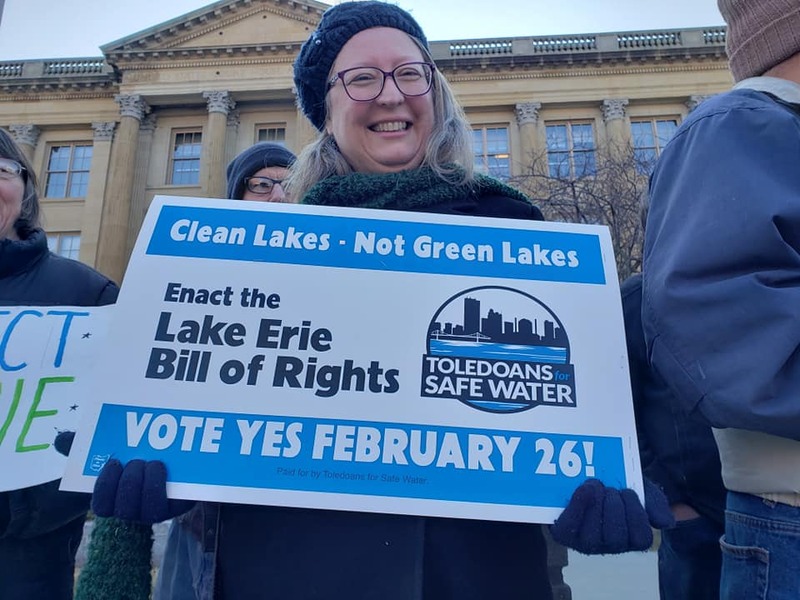 The Lake Erie Bill of Rights demonstrates just how strongly Toledoans feel about their responsibility to protect our precious natural resources. Our elected--and appointed--representatives here in Toledo should cherish the beauty of democracy as much as We the People do. Our representatives should also cherish and protect the health of Lake Erie and its people, and they should stop cherishing lining their pockets with lobbyists' cash. It's time. It's time to enact the 28th Amendment to the U.S. Constitution and repeal Citizens United. 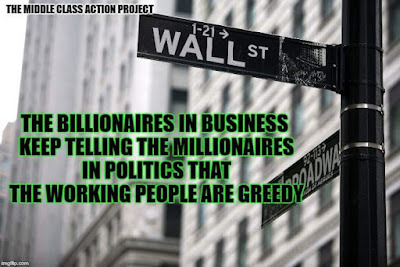 It's time to put to death the notion that "money is speech" and "corporations are people." Only living things such as human beings and ecosystems should have rights to thrive, flourish and grow healthy--not billionaires' bank accounts. 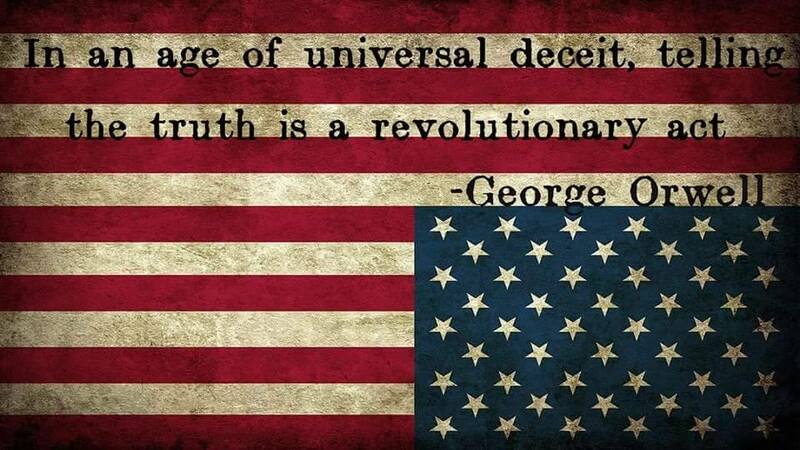 Revolutionary acts don't happen in a vacuum. Become a part of them! BIG NEWS: We The People Amendment Introduced in 116th Congress! Move to Amend is excited to announce that the We The People Amendment was introduced by our champion, Rep. Pramila Jayapal in the last week of February! HJR 48 currently has 23 co-sponsors and the list grows every single week! But here is also where we need your help. If your representative is not on the list, you can click the links below to send a quick pre-written message and even view a call script with their phone numbers to let them know they need to get on board! All you have to do is ask them to sign up to become a co-sponsor to HJR 48 and take a stand against corporate rule! Send a quick message to your Representative!!! Send a quick message to your Senator!!! If you have time, you can also take a moment to send a thank you message to the lead sponsor of the We The People Amendment, Congresswoman Pramila Jayapal! She is super busy being the champion for the amendment and other critical issues like Medicare for All but she always appreciates your messages of support! 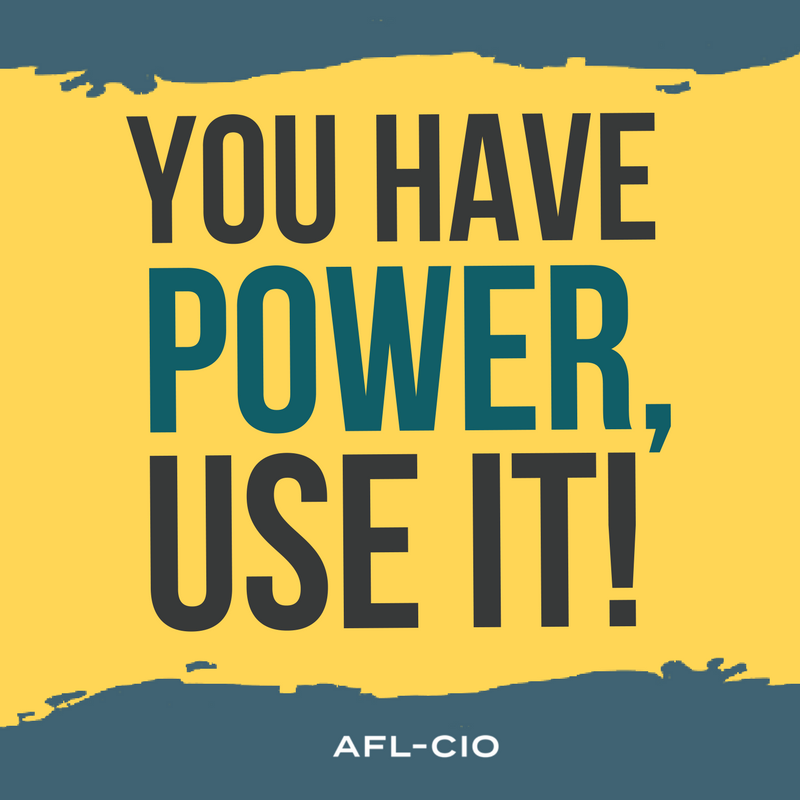 Send a thank you message to Representative Jayapal! ➤➤ Donate to support our efforts! 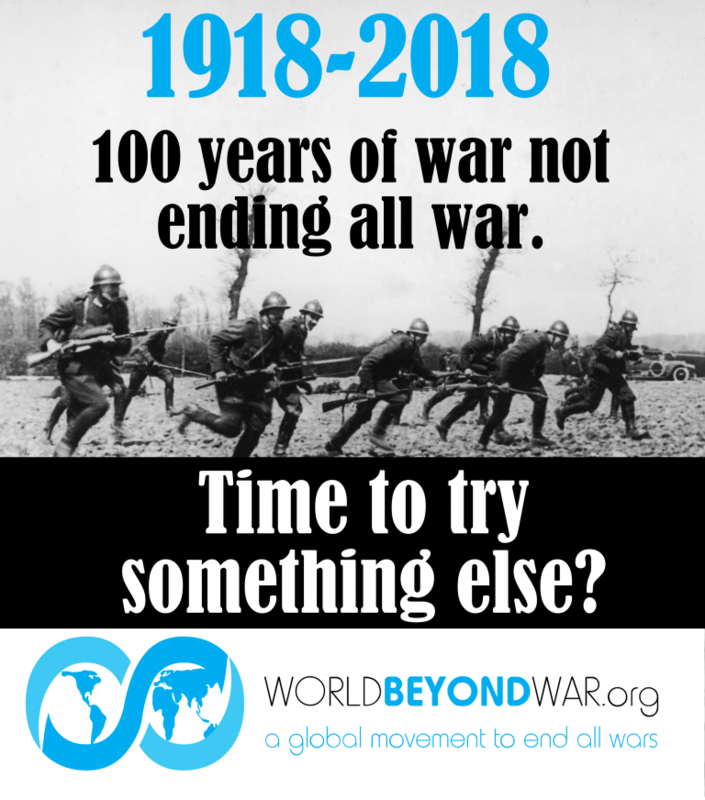 We need your support to keep the momentum going strong! Last year, Trump’s FCC gutted net neutrality -- the principle of a free and open Internet. This gives Big Cable companies like Comcast and Verizon even more control over our actions online. Trump gave Internet providers the power to throttle connection speeds, creating fast and slow lanes online and influencing the content we have access to. The good news is that last week Congress introduced a bill to reinstate the former protections. But this bill will only pass if legislators feel the pressure from constituents like you, C.A.. Can we count on your support? Sign your name: Tell Congress the Internet belongs to the people, not Big Telecom! The FCC’s decision allows Internet providers to create a pay-to-play system. They can now set up “fast lanes” for big companies that can afford to pay for them, and slow lanes for everyone else. Providers like Comcast and Verizon could easily force people to pay extra to see content that is critical of Trump or his corporate friends and Big Oil cronies. Big Ag, Big Pharma, and fossil fuel corporations can now spend millions to launch more powerful misinformation campaigns. In short, massive Internet companies could decide what stories we hear about Donald Trump’s attacks on people and the environment -- potentially keeping any critical content hidden. Now, it’s time for the power of the Internet to return to everyday folks like you and me, and for Congress to make that happen. But Representatives will only act if they feel the pressure from engaged Friends of the Earth Action members like you. Help save the Internet: Tell your legislators to support the Save the Internet Act! Net neutrality is vital to free speech, small businesses, and communities that might not otherwise have a voice in the mainstream media. There’s NO EXCUSE -- every lawmaker, both Republican and Democrat, should support net neutrality. The FCC's massively unpopular decision sparked a national movement to keep the Internet open and fair. Millions of people across the political spectrum took action in the streets, at their statehouses, outside the FCC, and before Congress. As of now, more than 130 legislators have supported restoring net neutrality. We’re closer to a victory than we’ve ever been, but we still need your help. If engaged Friends of the Earth Action members like you speak up again, we can push Congress to restore net neutrality and pass the Save the Internet Act. Help us reach 50,000 signatures: Demand Congress restore net neutrality NOW!